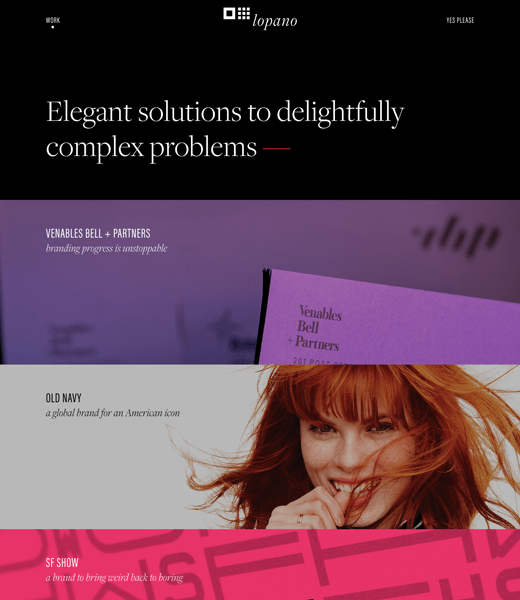 I've been building for the web professionally for over 10 years and have been lucky enough to work on a variety of projects with some amazing people. 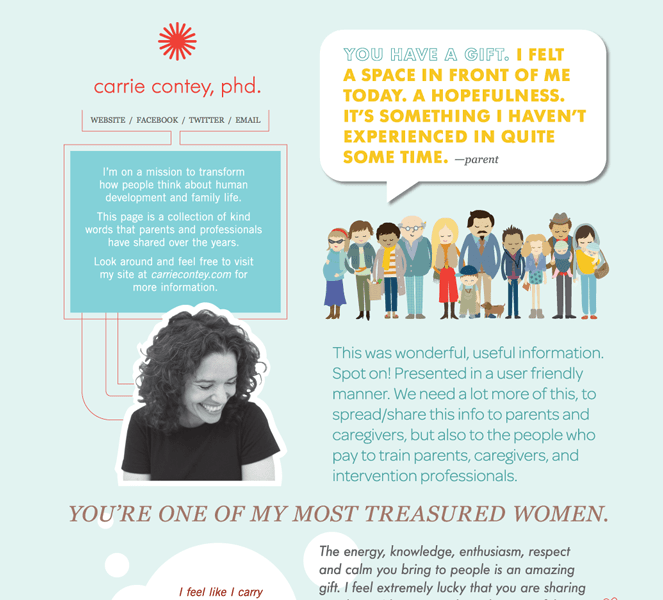 Check some of the work out below and please reach out if there's something I might be able to help you with as well. 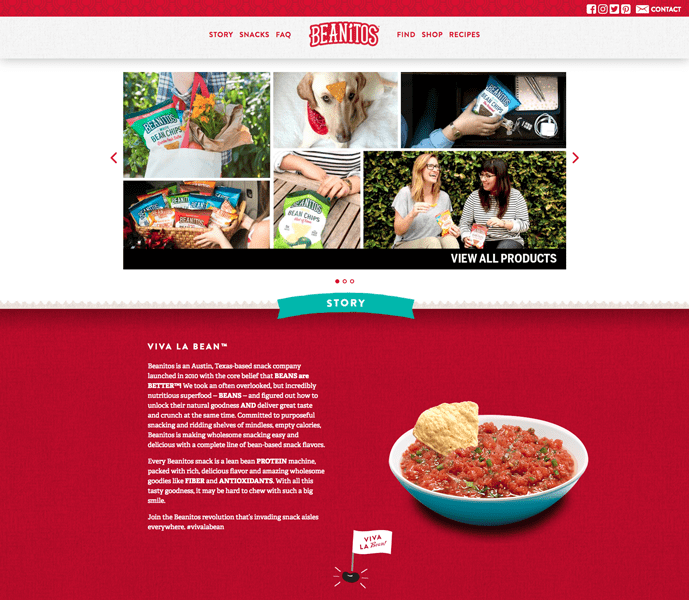 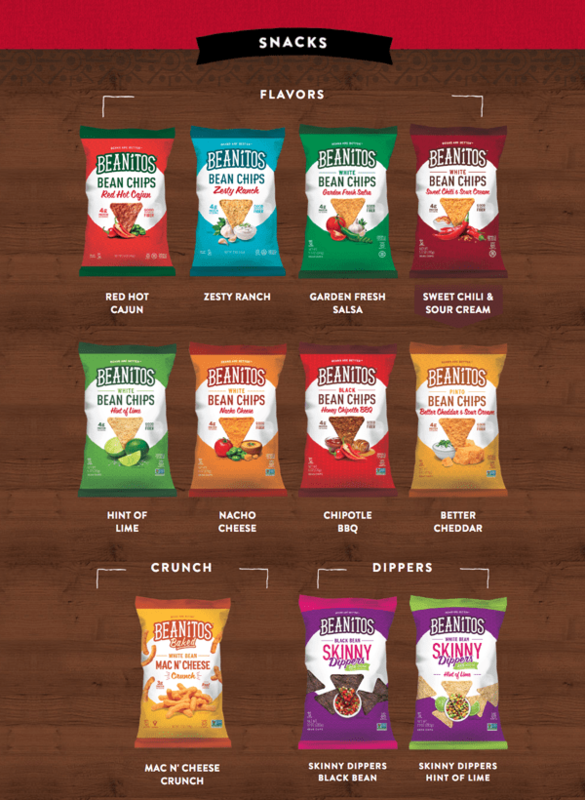 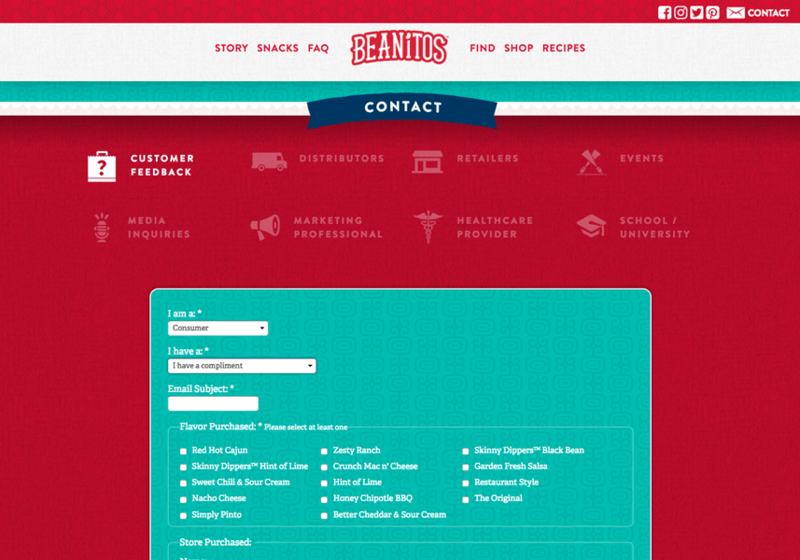 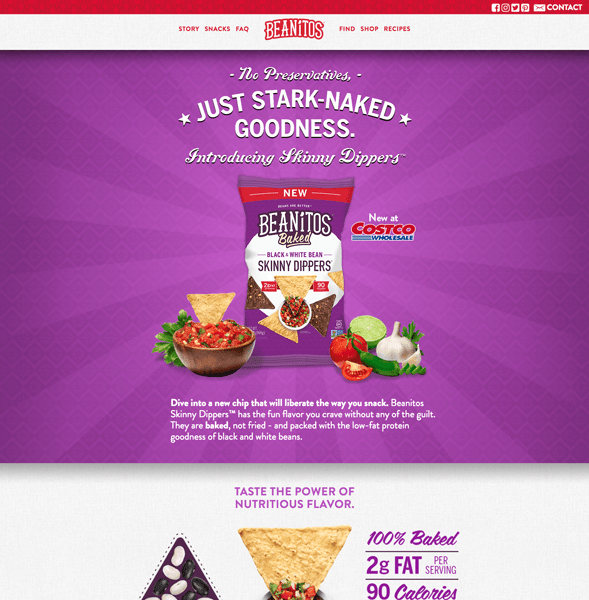 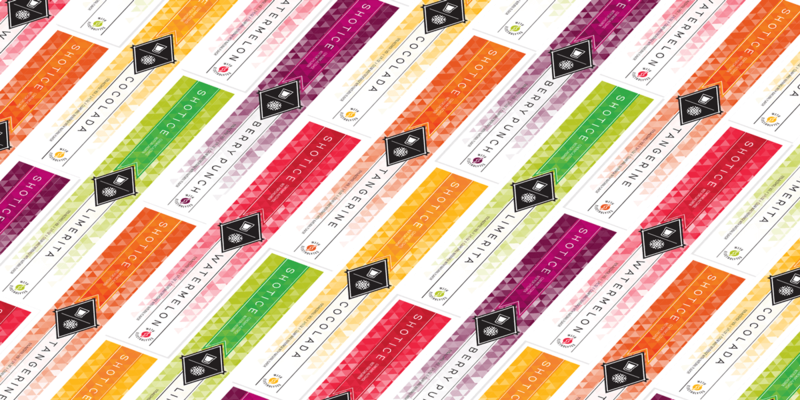 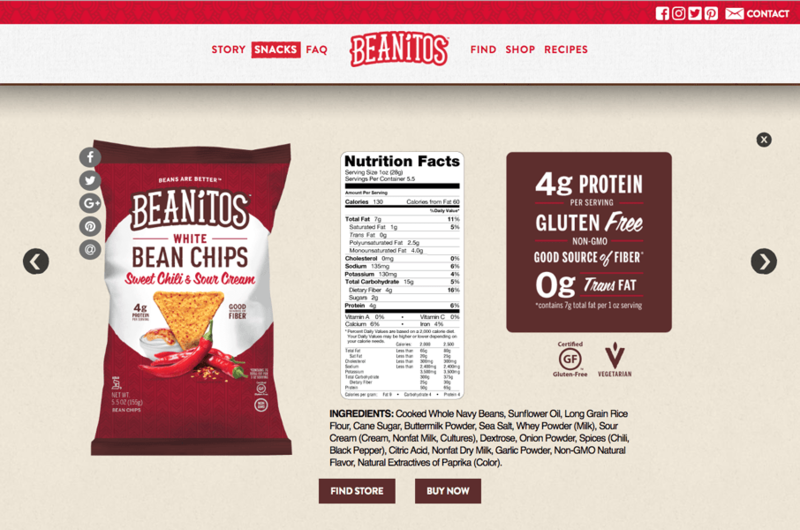 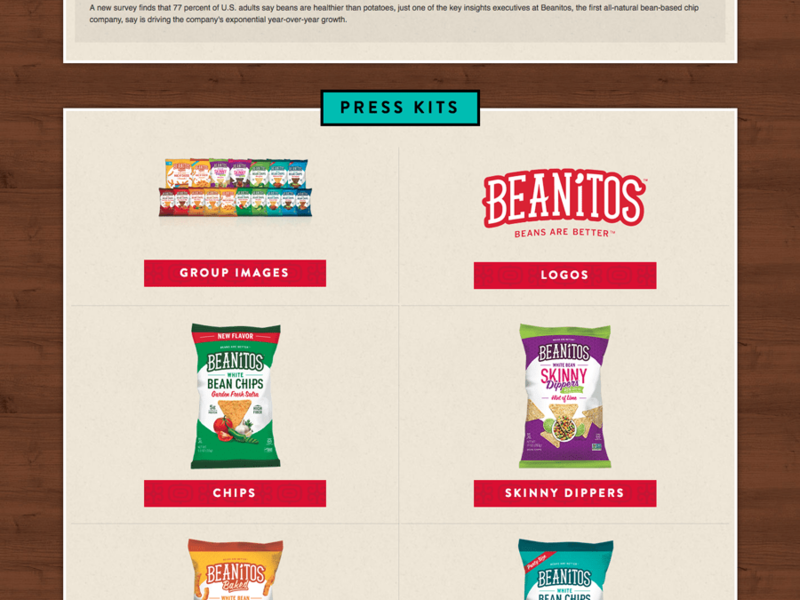 Beanitos needed to update their site as their company and product offerings grew. 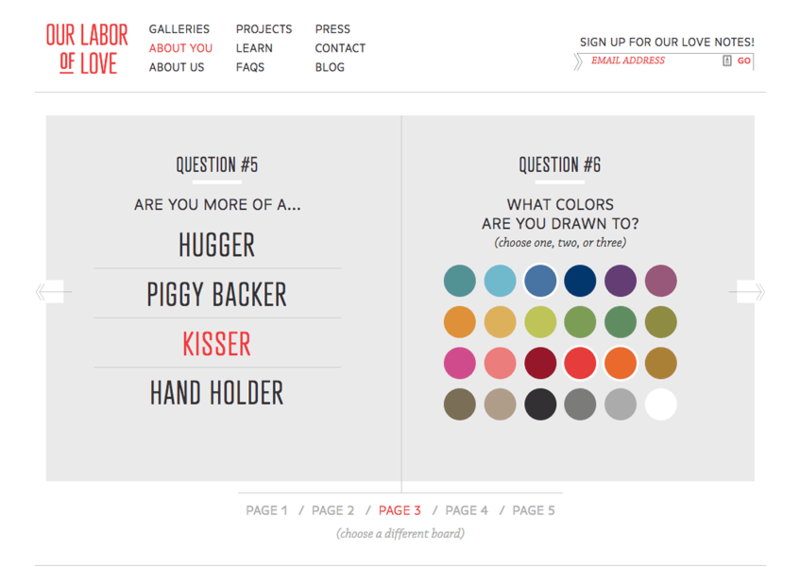 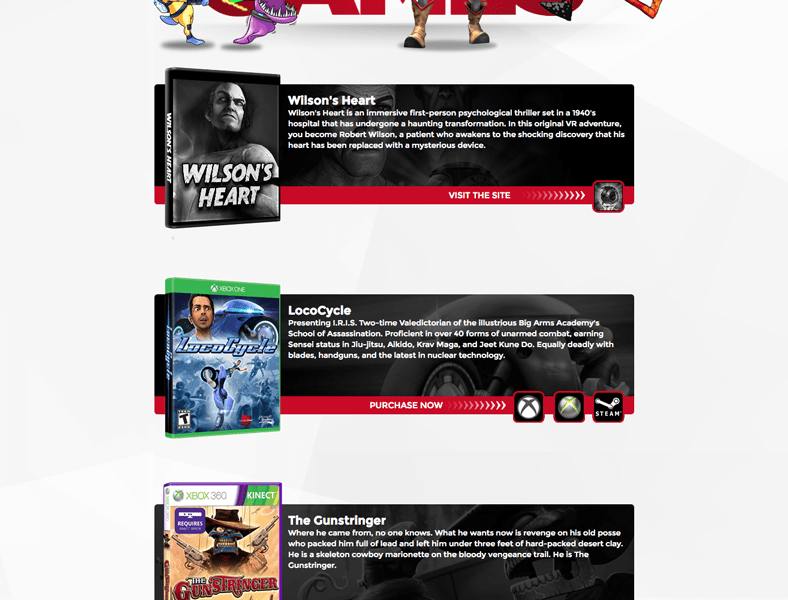 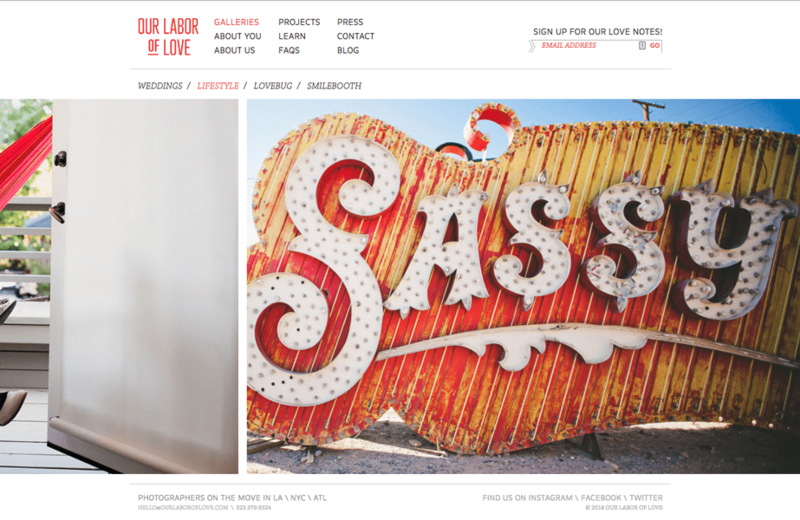 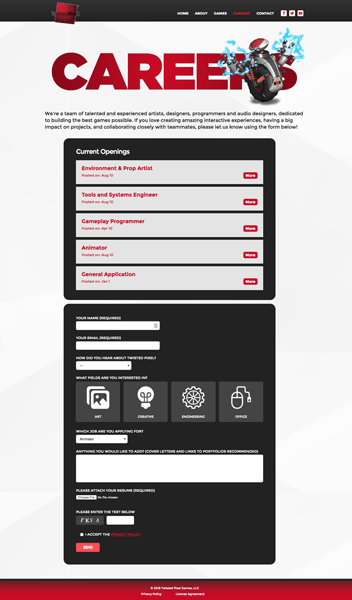 I put together a single page responsive site to handle the majority of their web needs. 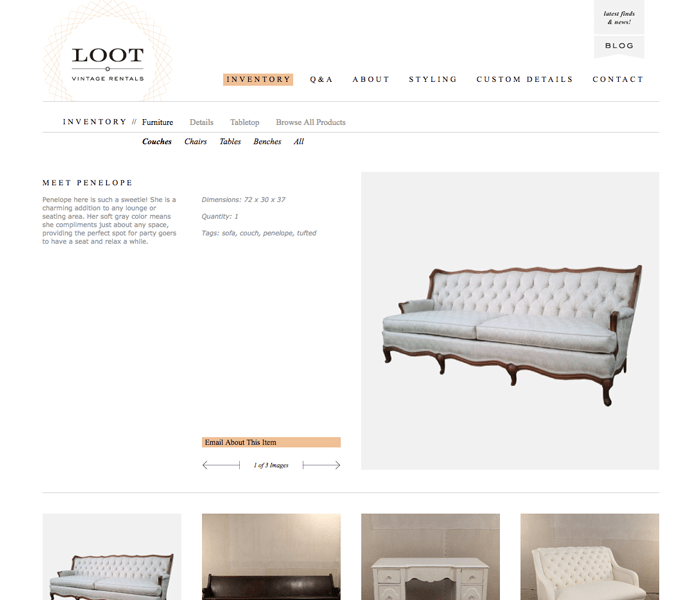 Several interactive features and animations, along with extensive product information, help build trust in a space that is notoriously hard to break in to. 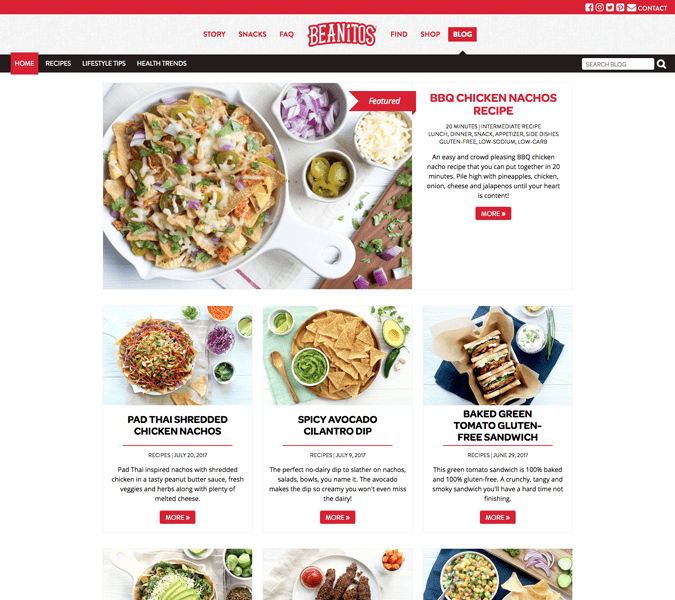 When they needed to add a minimalist, clean, WordPress site to showcase recipes and tips for their followers, we settled on a card-based design to showcase the food as the star. 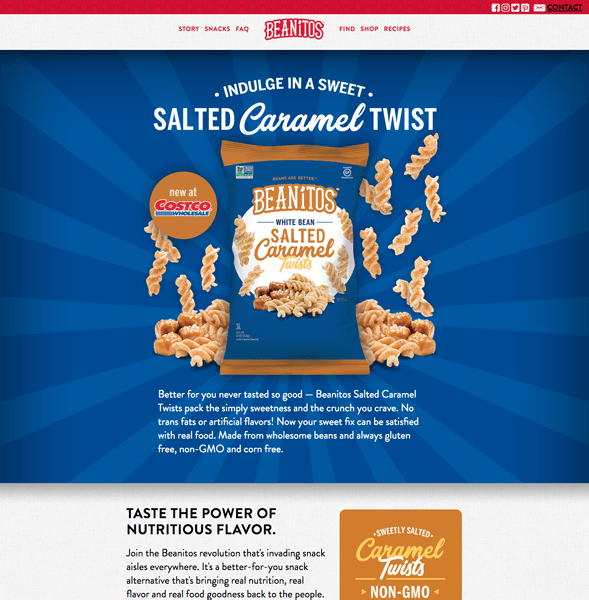 And when they needed to push traffic to test stores, I helped execute landing pages and email campaigns to inform their fans. 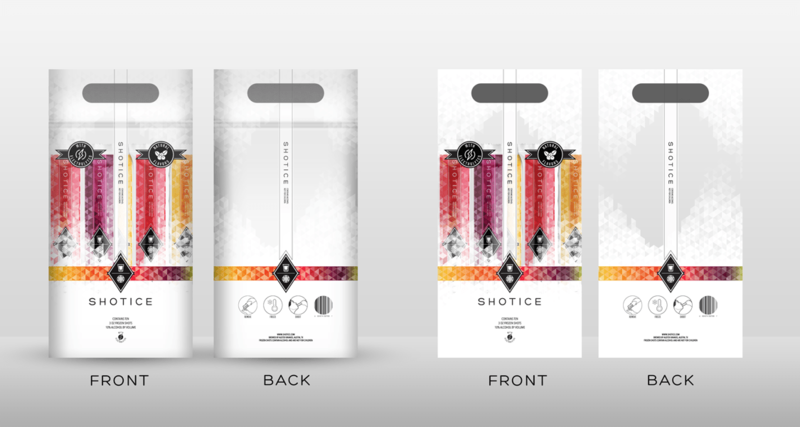 Shotice is a completely new brand bringing an alcoholic freezer pop to market. 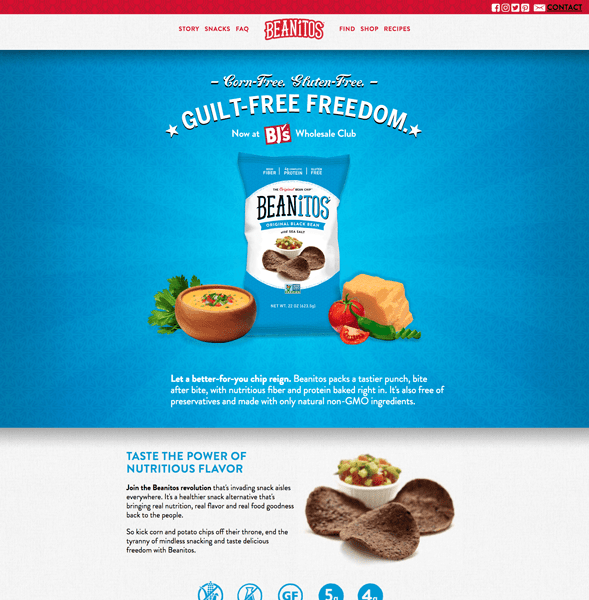 I worked with them to develop a complete concept for everything from their logo to coolers and retail displays. 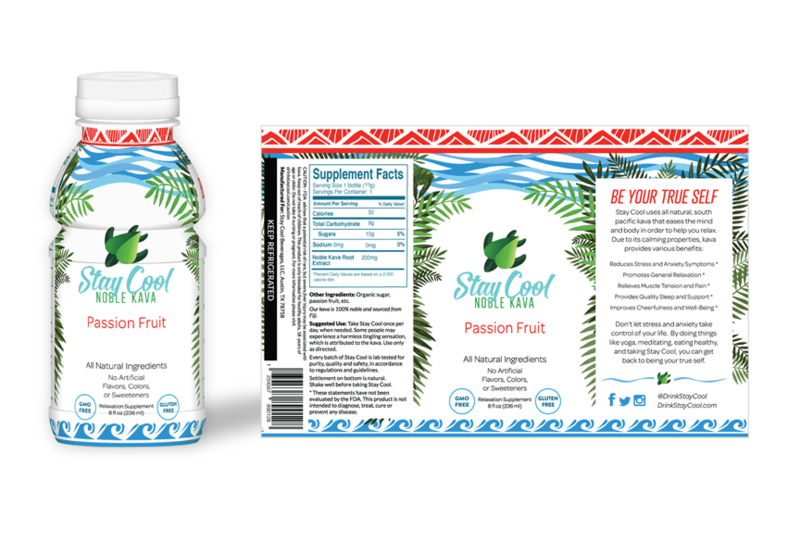 Along the way I designed individual and outer packaging that keeps the refreshing appeal of the product while elevating it slightly for an adult audience. 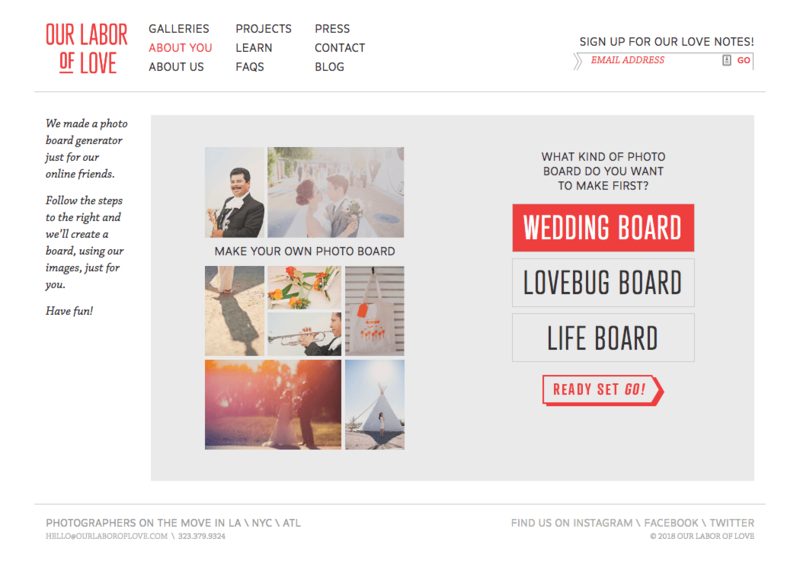 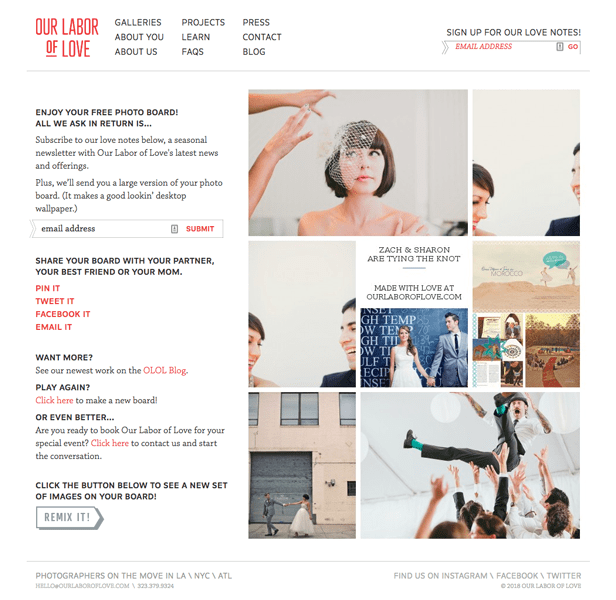 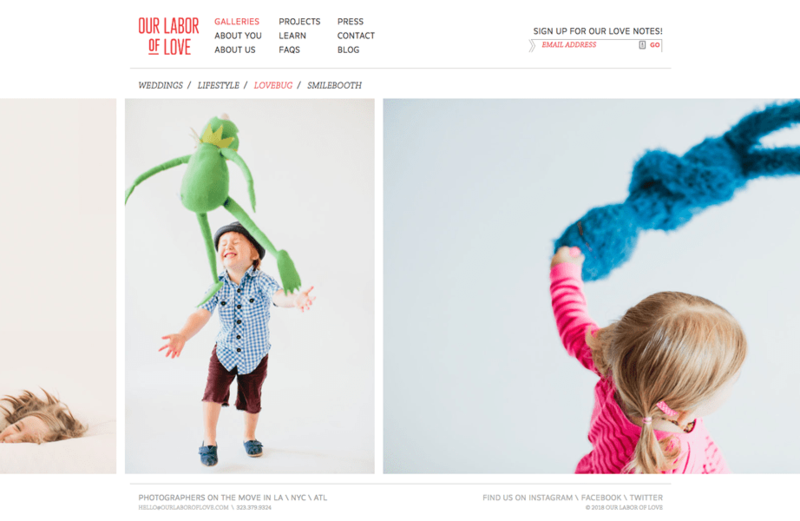 Our Labor of Love is a talented and award winning group of photographers that travels throughout the US capturing wedding celebrations and other big events. 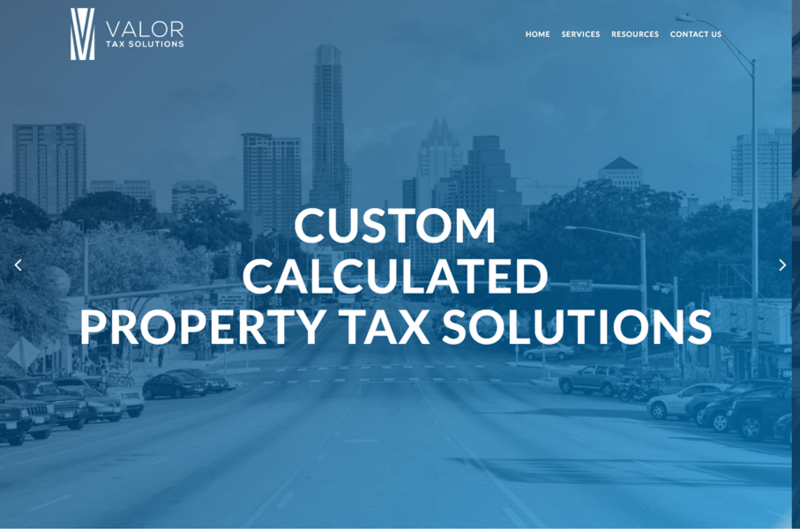 With such a strong portfolio of work, they needed a way to present it for prospective clients while tying in some of their other ventures. 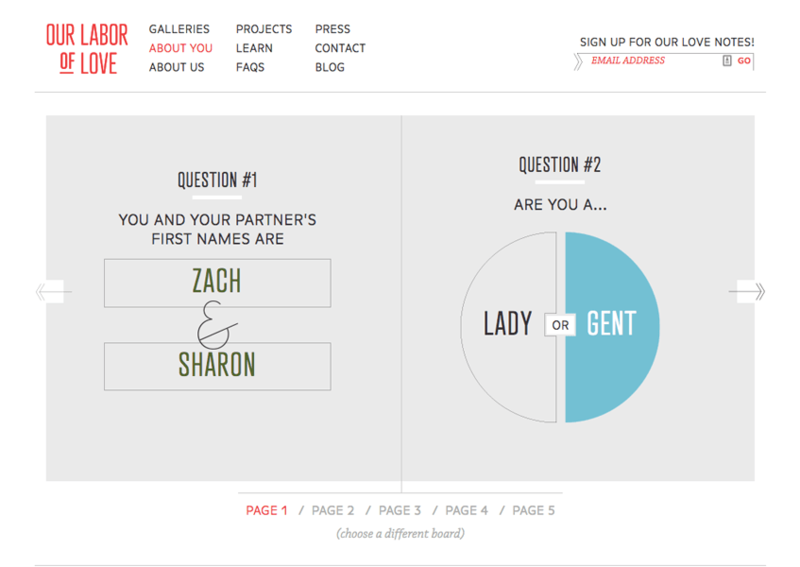 Chelsea at Go Forth Creative created an engaging design that focused on the photography while offering visitors guided points of interest including the opportunity to generate a custom photo board by taking a short quiz. 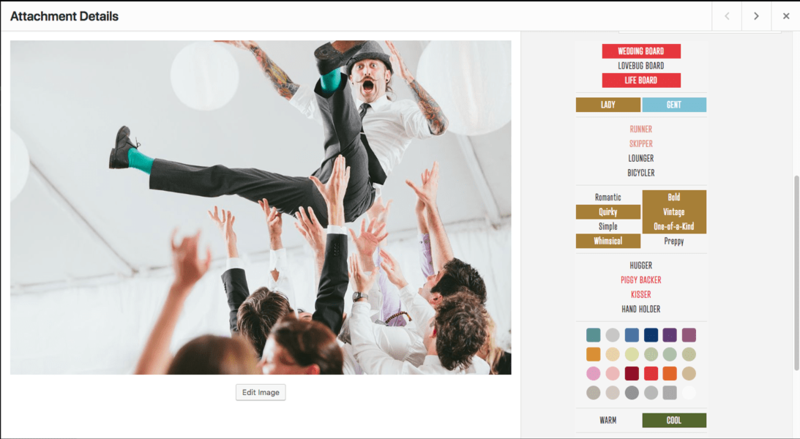 Using their answers and OLOL's wide library of photos users could download and share the board with their name and information on it. 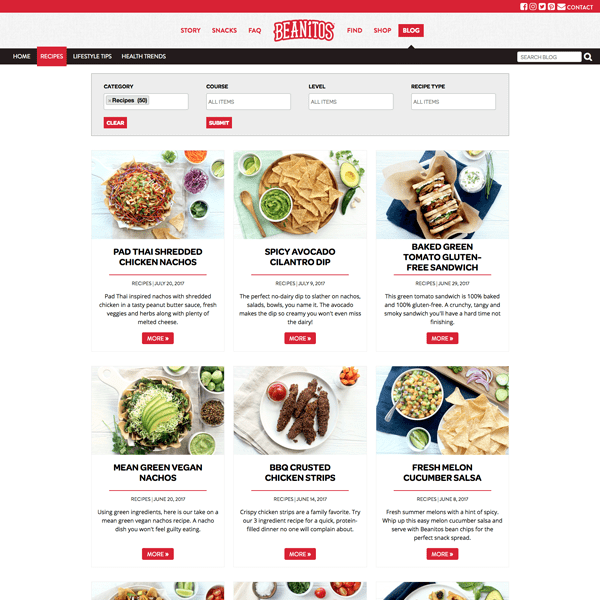 I built a custom WordPress theme for the project along with a unique plugin to manage the photos and pull together the boards in real time. 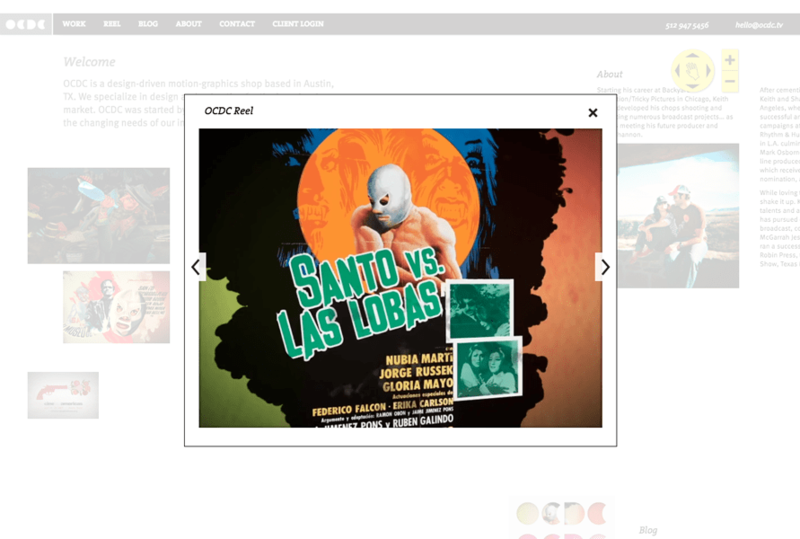 OCDC had just created a hot new brand direction with Viewers Like You and needed a website to extend that while showing their truly impressive body of work. 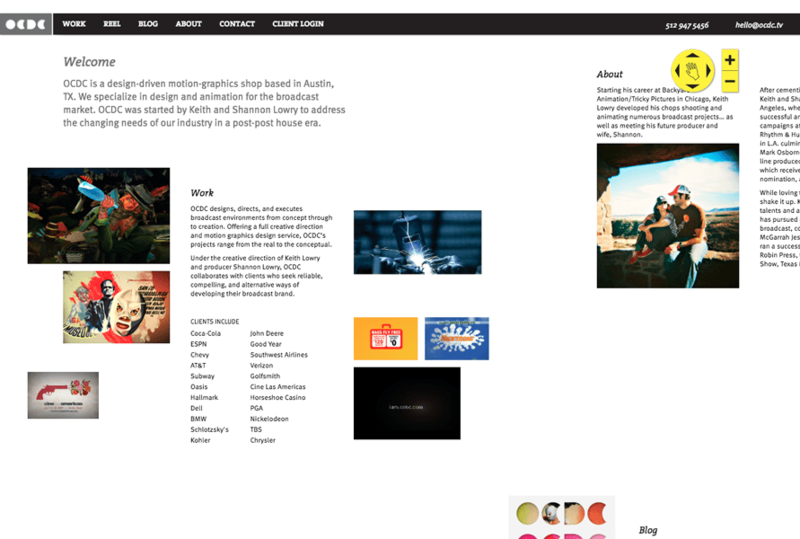 I collaborated with Viewers Like You to execute on a concept of an "open world" website with purposed areas rather than pages and a unique navigation reminiscent of online maps. 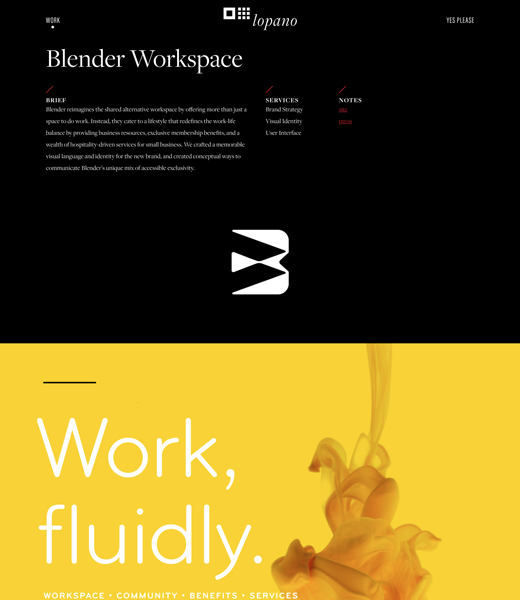 The concept allowed the work to shine while drawing visitors through the complete site in a way individual pages might not have. 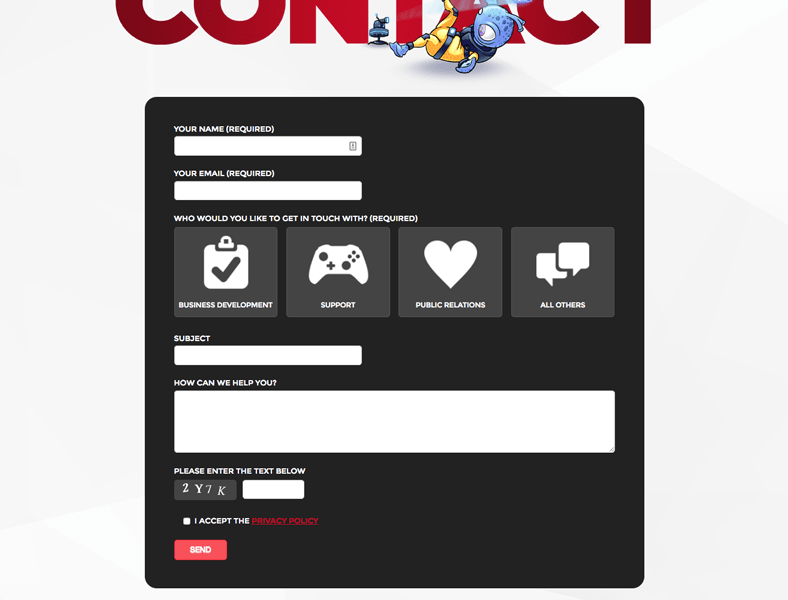 Twisted Pixel Games is an Austin video game studio that is always pushing into the next venue. 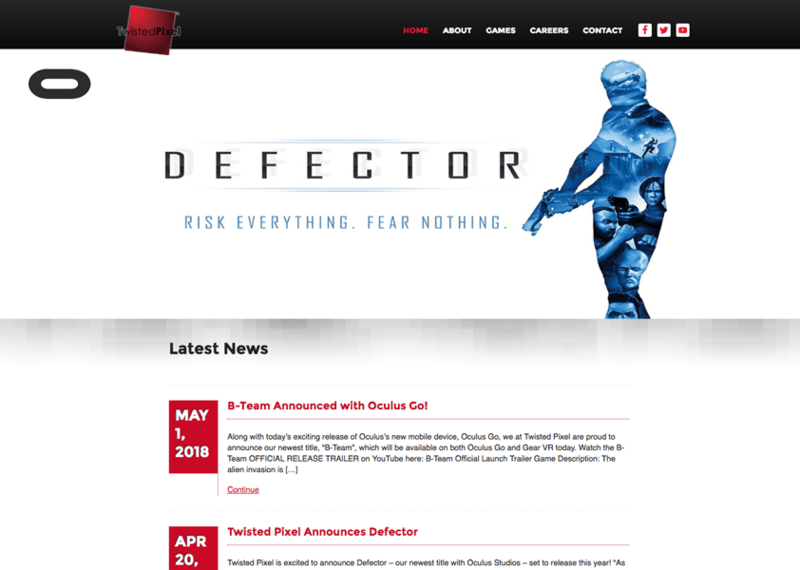 They have great artists on staff to illustrate their ideas and games, so when they wanted to create an updated, mobile-ready, responsive site, but keep some of their existing artwork, we built around those assets and added functionality to WordPress so they could keep cranking out awesome. 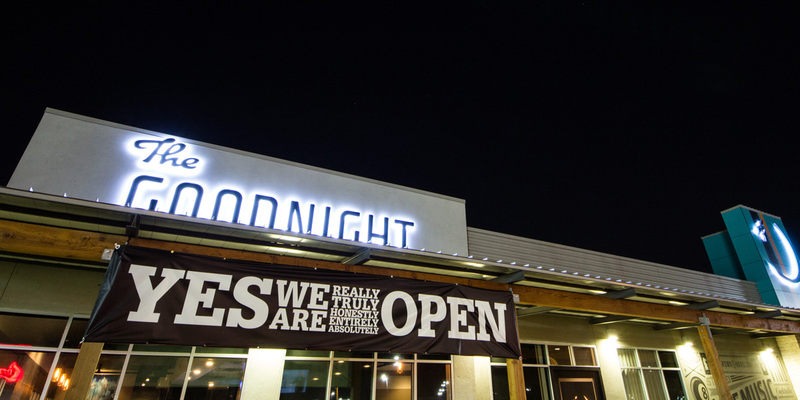 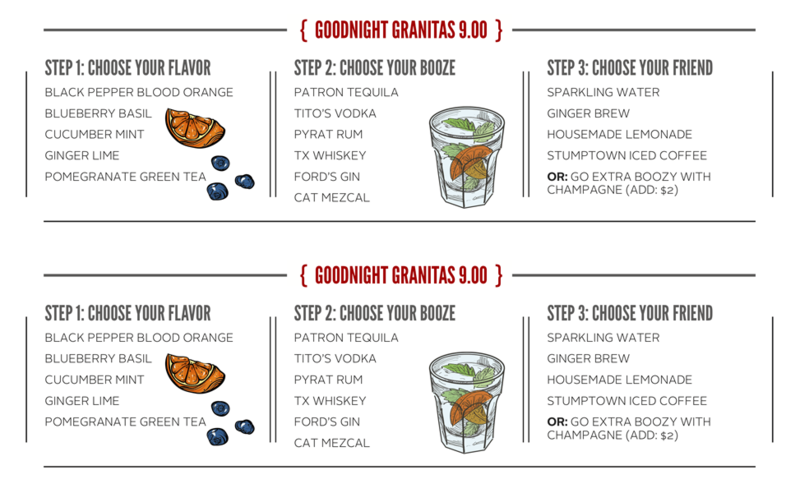 The Goodnight is a restaurant, bowling alley, bar, and game room all in one. 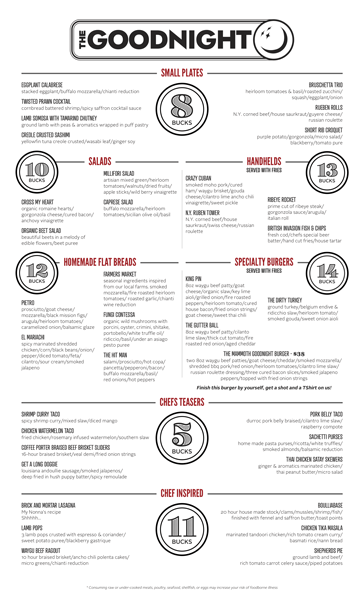 The food is way above what you would normally expect from a bowling alley, and they wanted the look of their menus to reflect that. 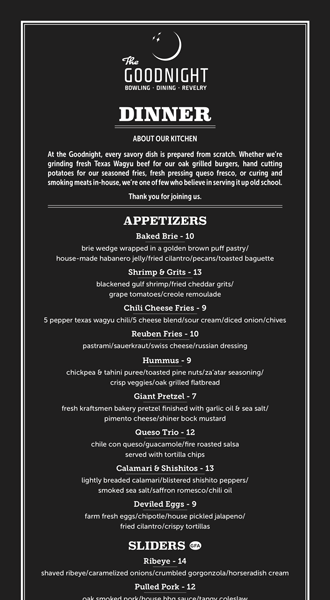 They also wanted to keep the menu fresh so they needed to be able to change them quickly, often print in-house, on standard paper sizes, and still look good doing it. 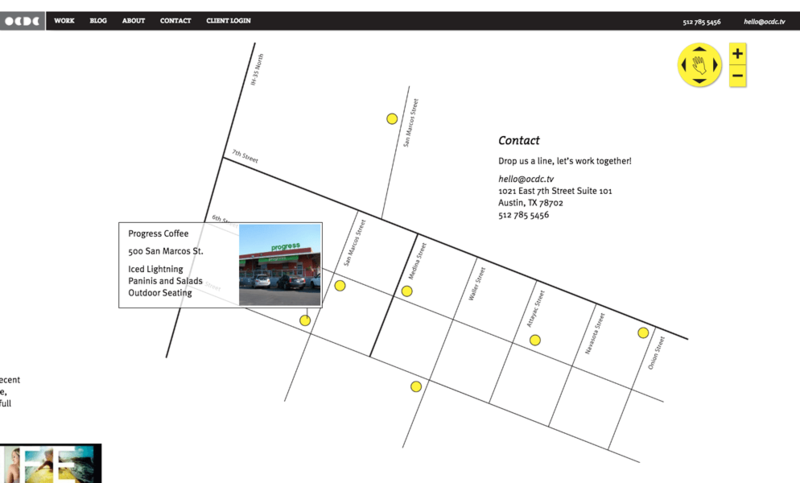 Our solution was a set of templates with built in styles so they could change the menu and print on demand. 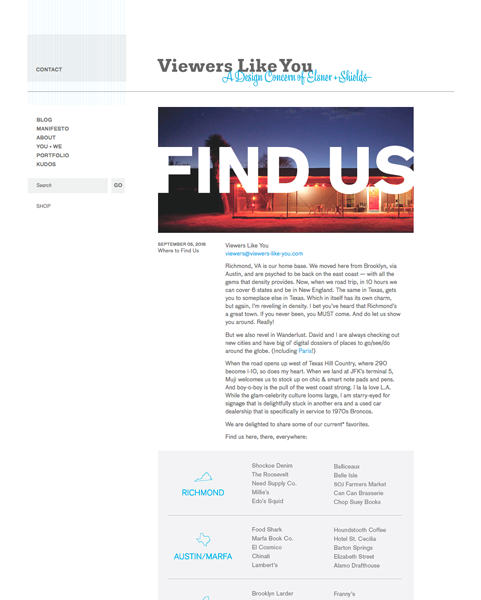 I was lucky enough to work with them to design a number of other projects including signage and marketing material. 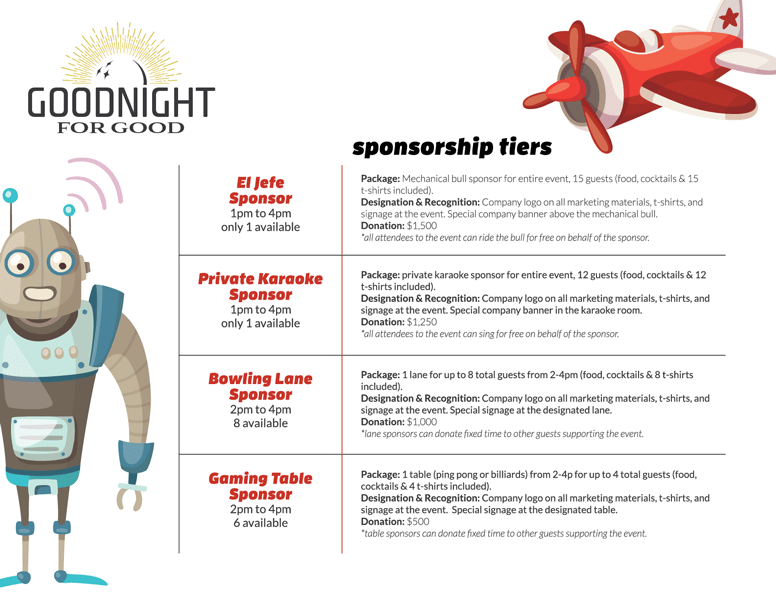 Also shown here is the logo and informational packet for their non-profit fundraising events, billed "Goodnight for Good" which raised money for worthy causes. 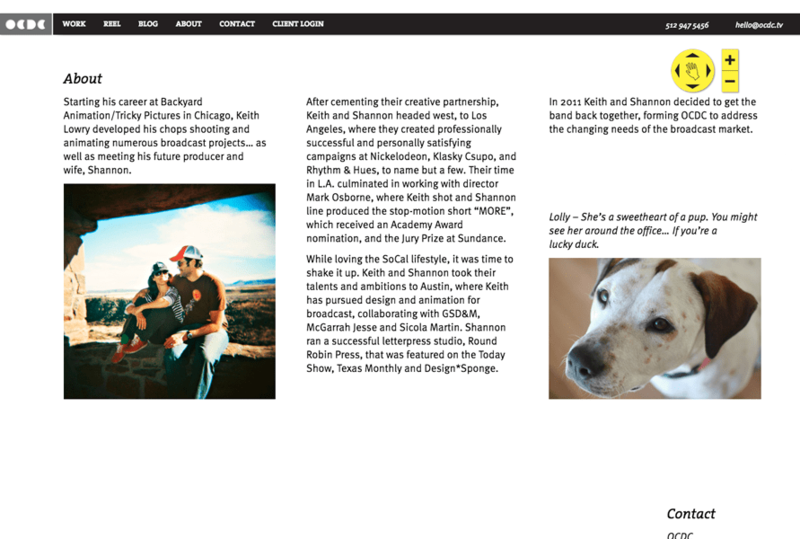 Some of the first sites I built professionally were built on earlier versions of WordPress. 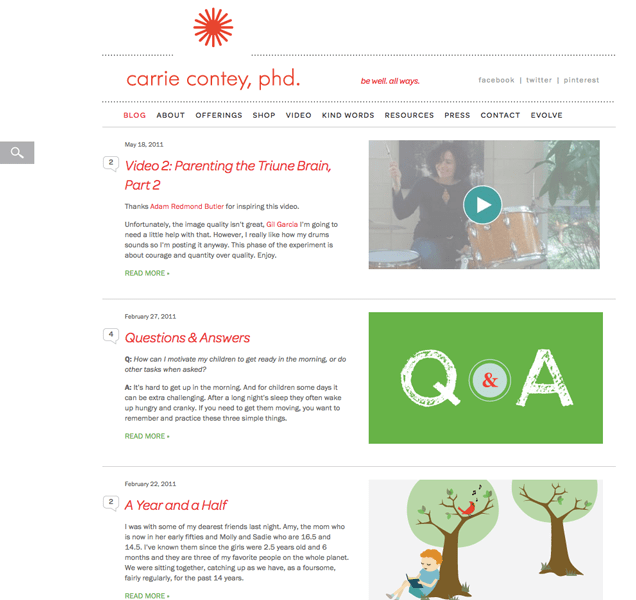 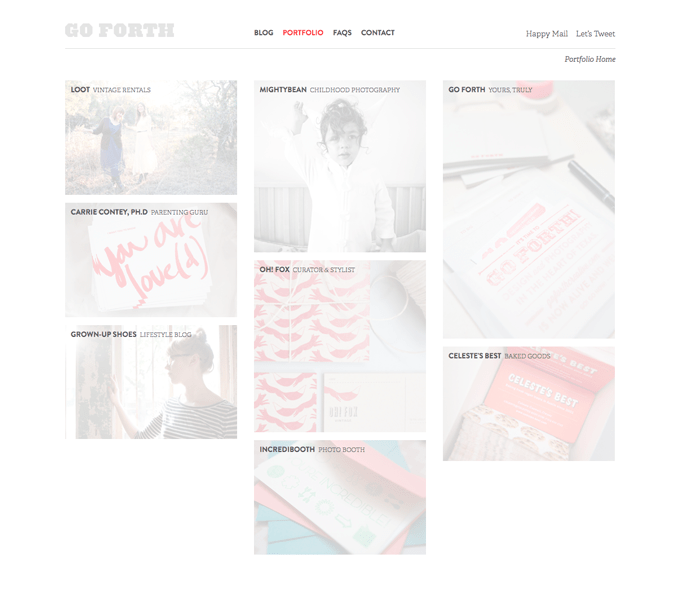 Here you can see some variety with designer portfolios, a video showcase, a small business brochure site, and a catch-all home for a parenting superstar. 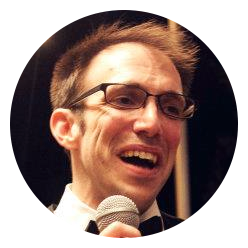 Get in touch if there is something I can help you with as well. 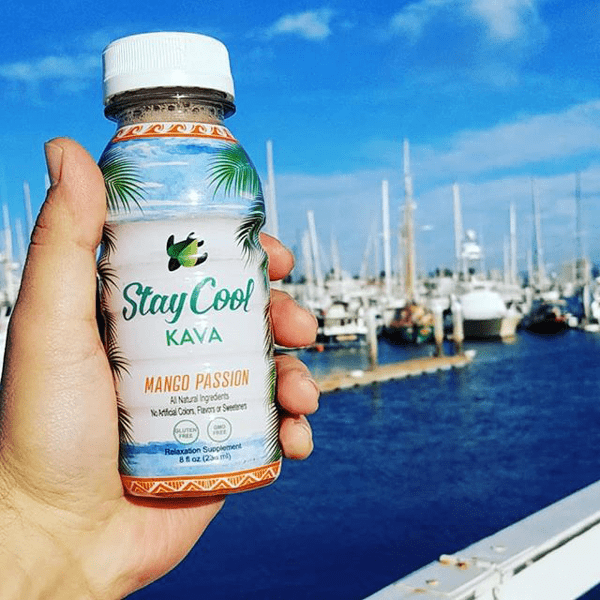 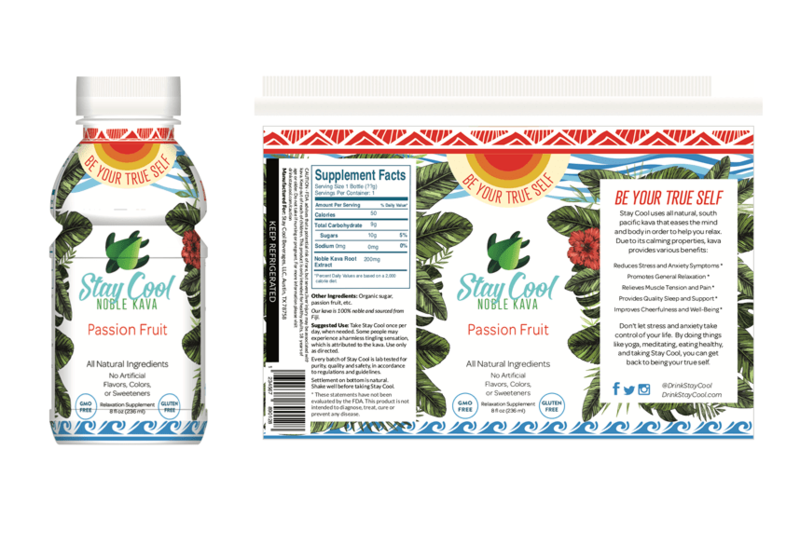 Stay Cool makes a bottled kava beverage and needed a logo to begin revamping their packaging. 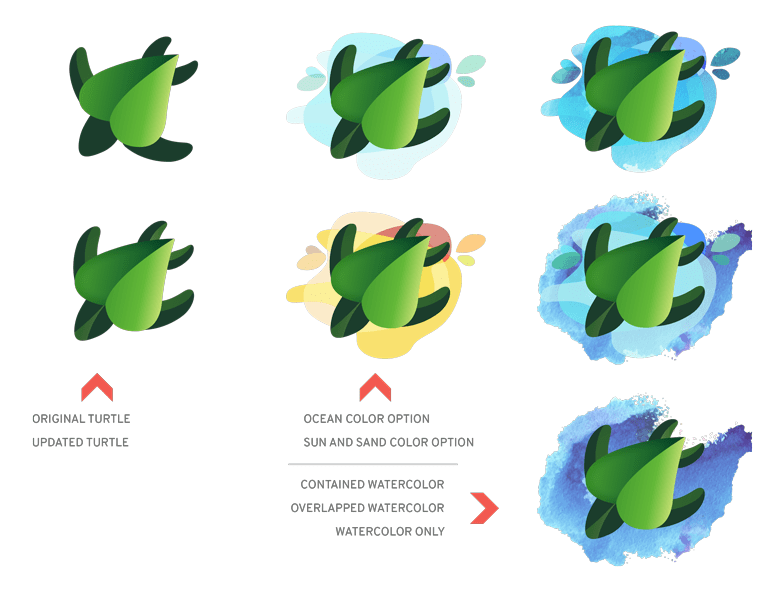 The result is the best turtle + leaf hybrid I've seen yet. 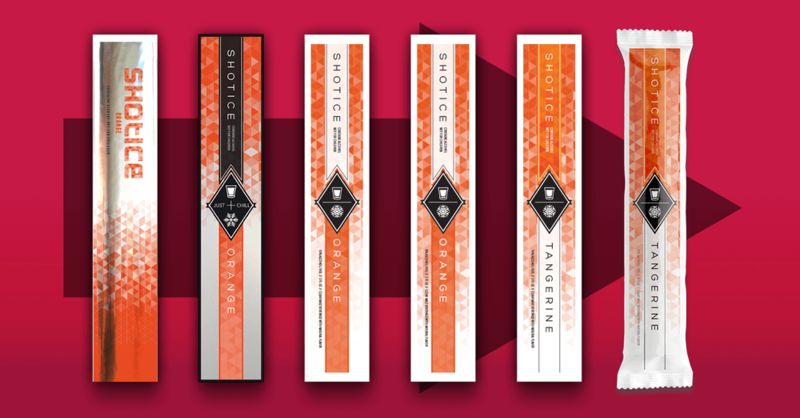 You can see most of the process here, from the initial concepts sent, through refinement, and on to the final logo. 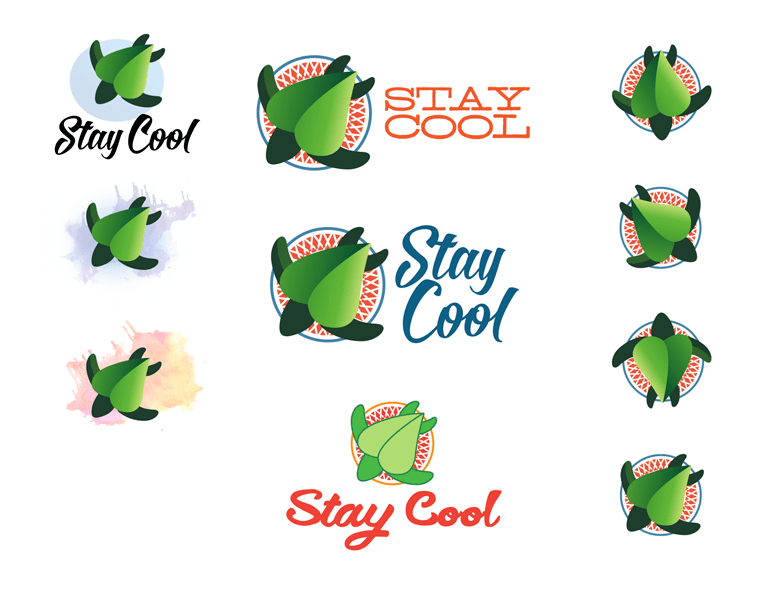 Shortly after the logo was done Stay Cool started getting ideas together for their bottles. 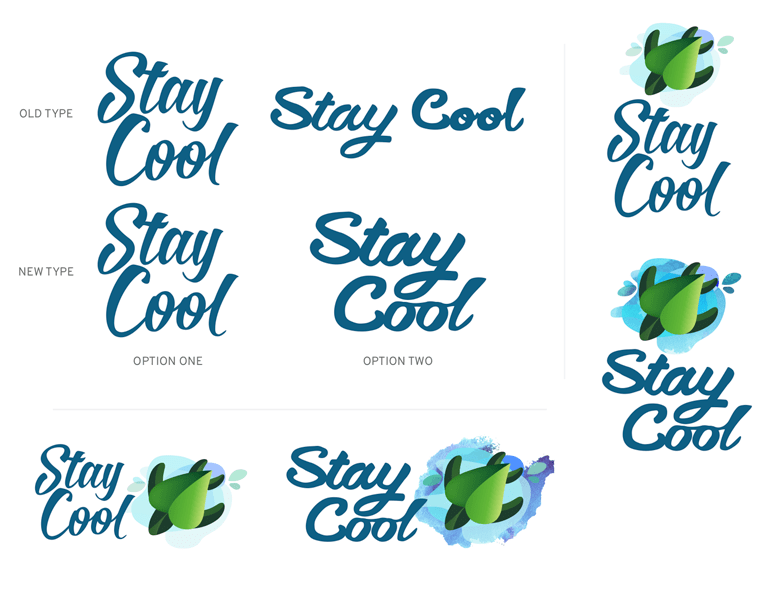 With their early requirements, I did a couple quick (~5 hours) sets of ideas. Those are here along with a shot of the final product.